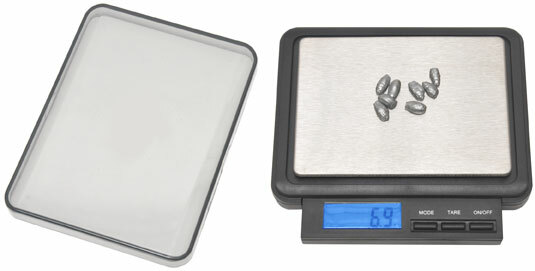 These compact digital scales are designed with portability and precision in mind. They are the perfect choice for sample preparation, science kits and out in the field. Choice of three digital scales with 100, 500 and 2000 gram capacity. They are all light weight, made of sturdy ABS plastic and have a protective cover. Capacity 100 x 0.01gram with Tare function. Weighs in grams, ounces, carats and grains. Removable cover can be used to hold items for weighing. Use 2 ea AAA batteries which are included. Capacity 500 x 0.1gram with Tare function. 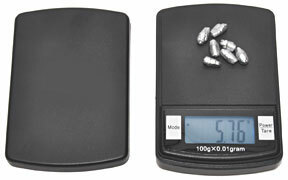 Weighs in grams, ounces, troy ounces and pennyweight. Comes with protective plastic pouch. 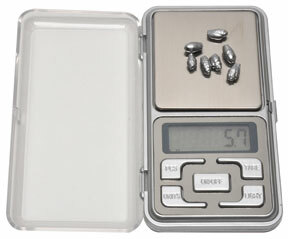 Can be used as pocket or compact lab scale. Use 4 ea AAA batteries which are included.